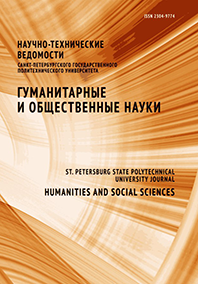 The article is dedicated to studying deviant leisure forms common among the Leningrad workers in the late 1920s. The paper is based on the materials of wall newspapers published by the largest factories of the city. The author used general scientific methods (logical and historical). The study of leisure practices and models of deviant behavior is based on the methodology of “new cultural history”, which includes the history of leisure. The methods of historical anthropology were also used, including the history of everyday life with a focus on common discourses and practices. The results of the study demonstrated the significance of the problems of the spread of deviant forms of leisure among Leningrad workers of the late 1920s. The most common form of deviant behavior was alcohol abuse, which was largely related to pre-revolutionary corporate practices that have migrated to the Soviet everyday life. Other types of deviant leisure, primarily hooliganism, observance of religious rituals and celebrating religious holidays were directly linked with alcohol consumption. Wall newspapers show that, despite all the efforts of the correspondents and the administration, these forms of leisure continued to exist as an important part of the subculture of industrial workers. The main reason for the intensive campaign to combat them was the desire to maintain a high level of productivity and labor discipline, which became especially important with the beginning of implementation of the first five-year plan. The results of the study can be used in the development of the social and cultural policy of the state to solve problems related to cultural and historical reasons for the development and continuing attractiveness of deviant behavior.